Most of the images I’ve posted from Ireland thus far have been pretty straight forward landscape type shots. Today, I thought I would share a couple of swipes (camera movement) that I did as well. 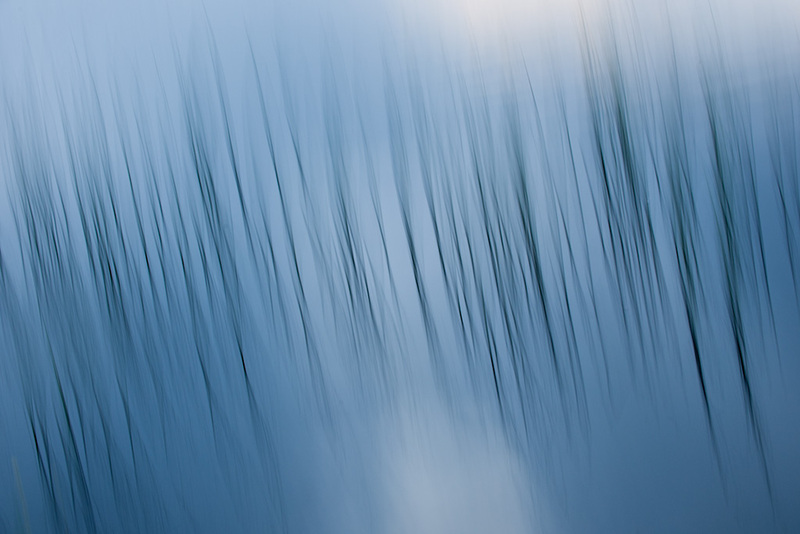 The main blog image is reeds in the water near the small church on the lake in Gougane Barra. We loved the reeds but had difficulty capturing the simplicity of the scene. We could not find a nice small separated group. As such, I started swiping to see what I would get. Needless to say, I was quite pleased. Note that I’ve tilted my camera a bit but am still moving it up and down. This is what is creating the oblique lines. Moving the camera obliquely would not have created the same effect. I hope that makes sense! I’ve added a B&W version below and am always interested in your preference. 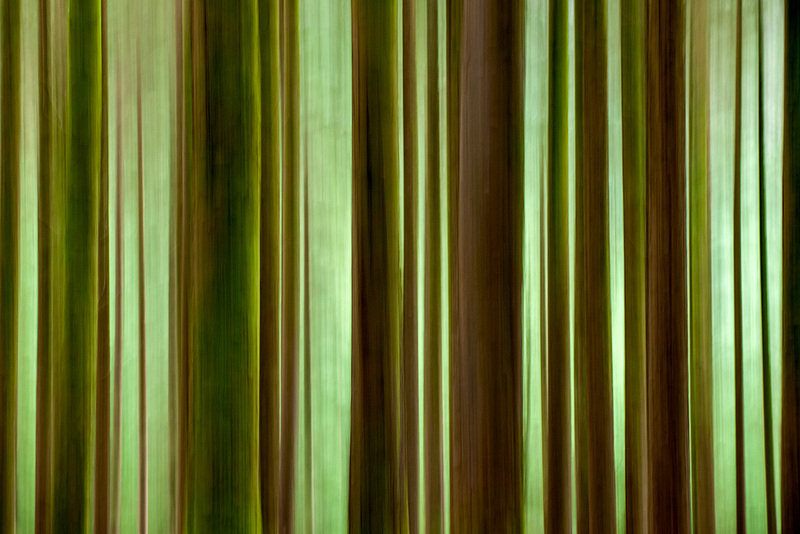 The images below are from the Gougane Barra Forest. This time a straight up and down swipe. All good creative fun! You are a master of the swipe! So simple, yet so beautiful. These are absolutely gorgeous John, especially the blue one. Love it! Really nice John, you see the possibilities and execute them perfectly. These are wonderful. The first two in particular. Stunning. Wow!! These are fantastic swipes, JB! 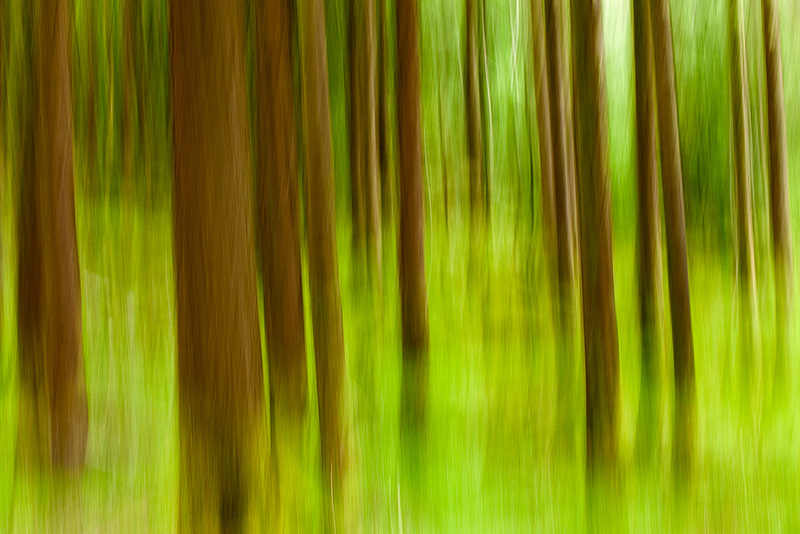 the swipe of the trees strikes me graphic hog that I am. 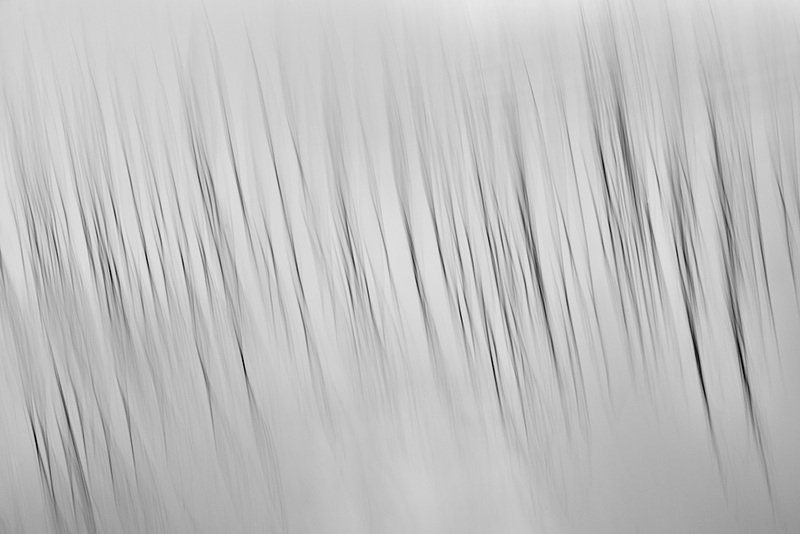 While the easily recognizable trees have a rhythm, it doesn’t pull me in to see as much as the more abstracted version – a tension between the rigid verticality vs the random irregularities of the lines. always appreciate your thoughtful comments Marty. THANKS!